We have new goat friends! 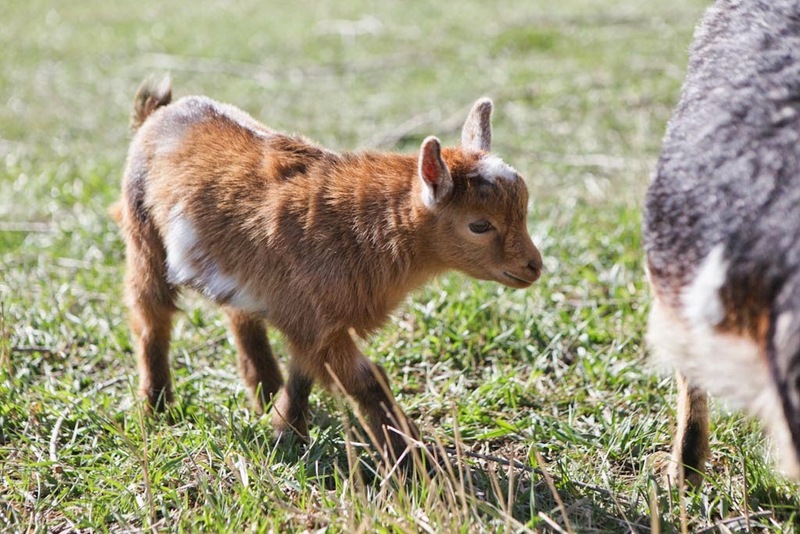 They are unnamed as of yet, this young Nigerian dwarf doe and her four-week-old adorable buckling (who I know will get bigger and increasingly stinkier come fall - and may actually have only one horn - but isn't he just the cutest little guy?! 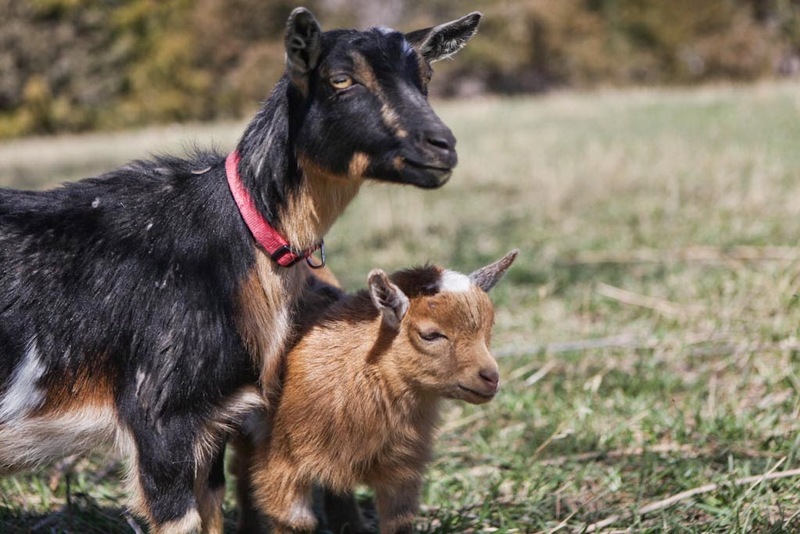 Prepare to be inundated with irresistible baby goat photos). They came to us just an hour before dusk last night, and I fretted quite a bit about letting them stay unsupervised with the rest of our herd. The new ones kept following me toward the house as dark settled. 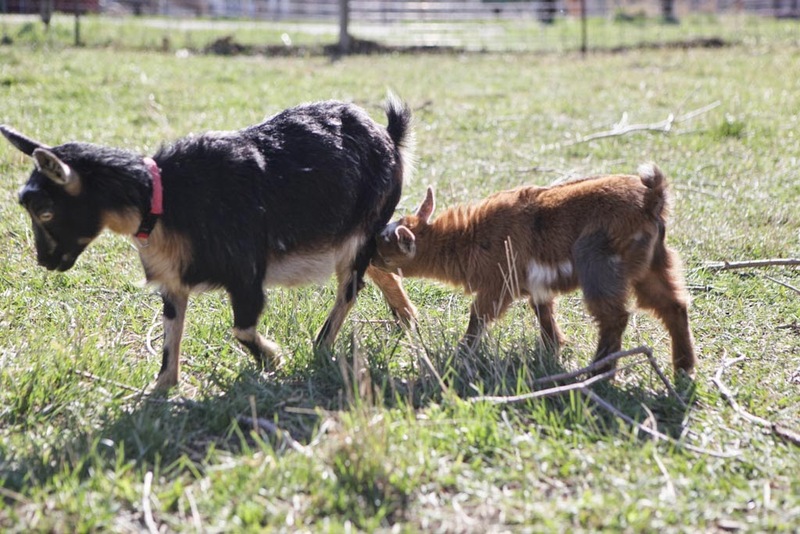 But then I saw Spring coming to the lower pasture to lead them back to the barn, and I felt she would look after them. And so she did. Such a good herd queen, that girl, with a strong maternal instinct that I've grown myself to deeply understand; she was Abby's guardian, too, during her recent struggle with bloat. Slowly, we're trying to expand our herd to add more milking does, and hopefully another buck so we can breed and maintain a closed herd. This is kind of the next step for us, I think. 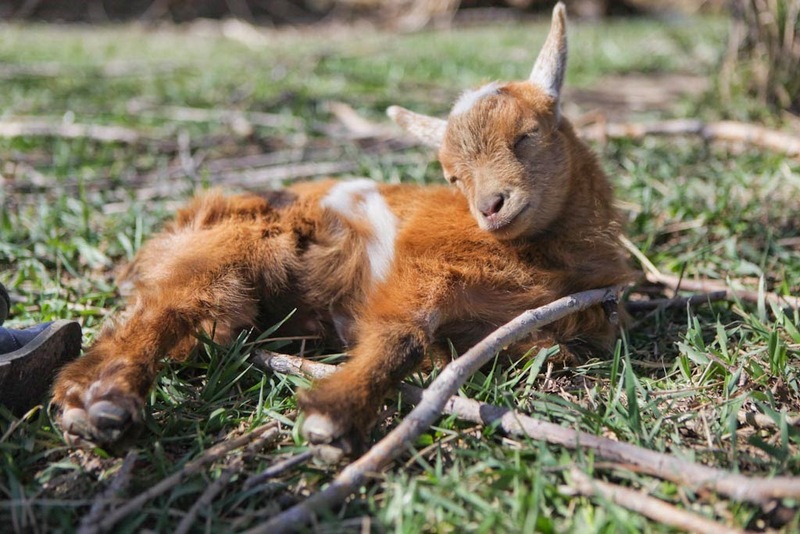 At some point, I'd actually love to have a few fiber goats, too! But for now, these are the sweetest, tiniest little things, and to be quite honest I'm not sure how milk-able the doe will be (she really is small!) but oh, we're enjoying them so. 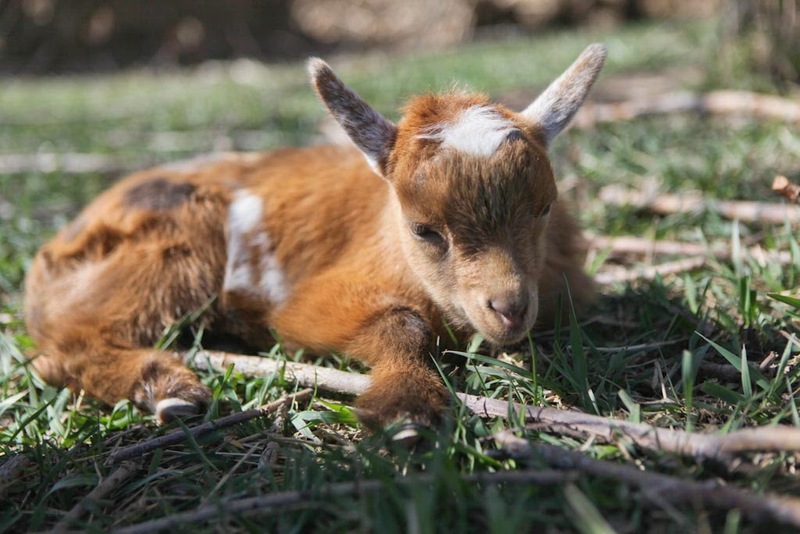 I certainly don't need any excuses to venture out into the warmer air to snuggle a new baby goat. (Or, for that mater, to work on the garden or look for the "beautiful little duck," as my daughter calls the wild drake living by the pond). Ah, sweet spring. It's the best medicine for a rough day or any sort of weary heart. You can't put a price on that. 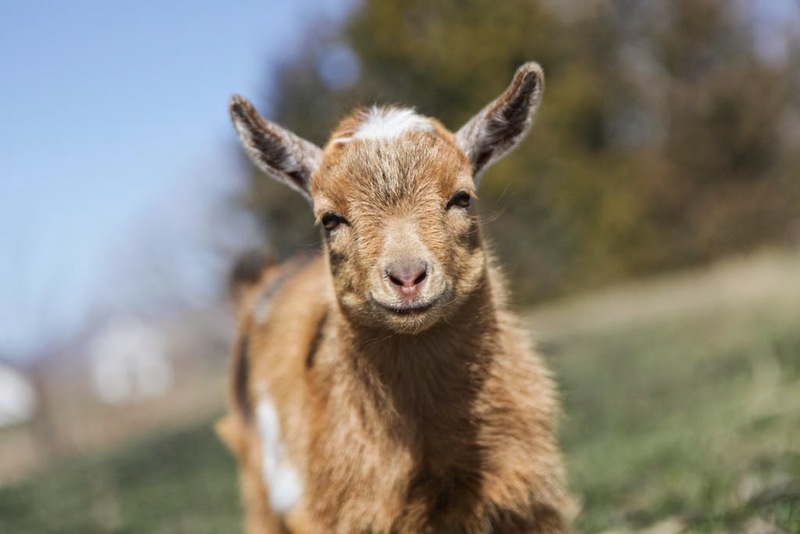 I swear, in that 4th photo from the bottom the goat is smiling! Even though we are in the west burbs of Denver, some of the properties are grandfathered in from when it really was a farming community to have some livestock. (Like at my house, I can have horses!) There is a house a block south of that that has 3 goats and we often stop by so C can chat with them through the fence. Check out the blog "Chickens in the Road". She has had success with milking Nigerian Dwarfs. You will love her blog if you haven't found it already. So, so, so cute! 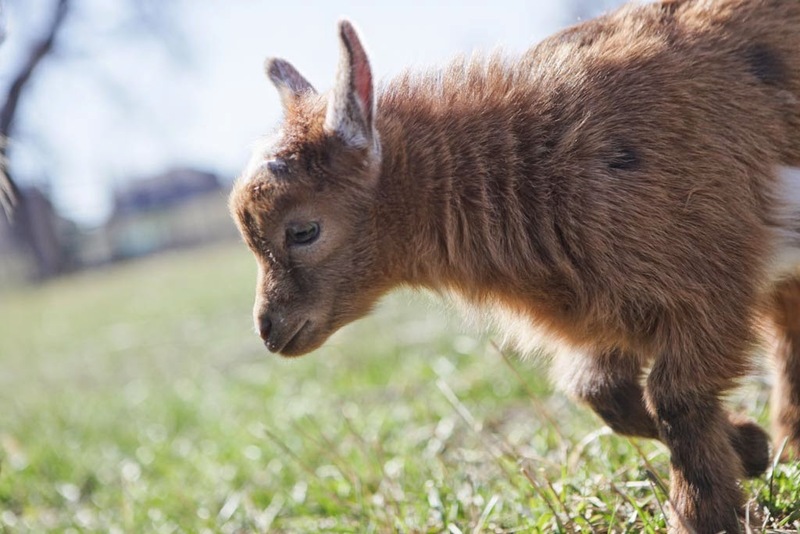 Who can resist baby goats! And Pygmys have the best personalities. I had two Nigerian Dwarf does who were too small to milk. Or maybe my hands were too big. It was a chore so I eventually sold them. I have milked the remaining ND for a couple of years because she always has triplets to feed so I let them have all the milk. These pictures warm my heart! 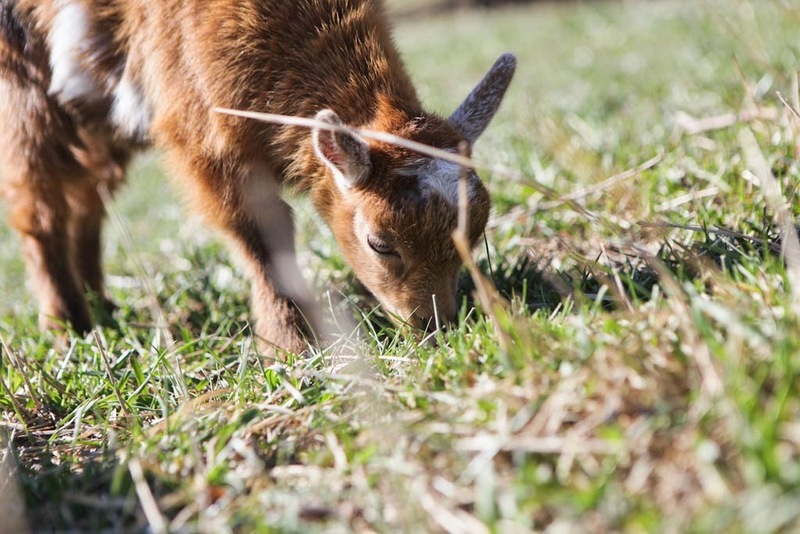 I love seeing the baby goat soak up all the sunshine while relaxing in the yard. Those goats are so cute!!! 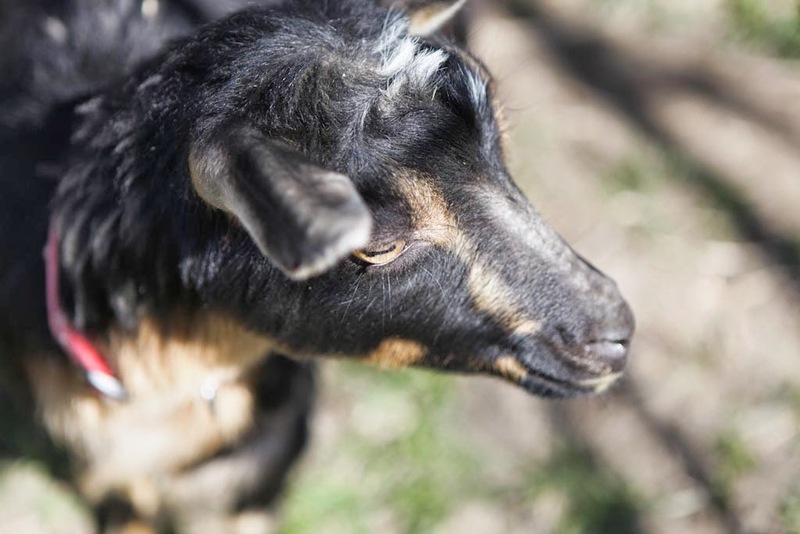 Goats are next on my homestead list and I can't wait to have the room and a yes from my husband (though that's less important). Oh. My. Goodness. The cuteness. 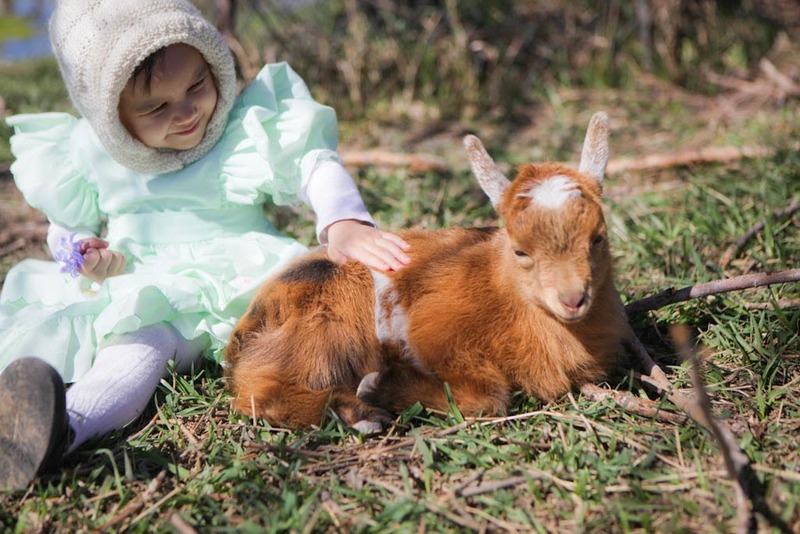 That photo of your little one and that little goat. Double cuteness. How is everyone getting on? Goats! I love goats! Such awesome animals.